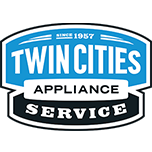 Twin City Appliance - Mike T did an excellent job in a timely manner. My husband didn't have to worry about fixing. Thank you!!! Thanks Dorothy- Glad we could get it done quickly and cross one off the to do list! WASHER WHIRLPOOL WTW7000DW1 "Found an error code for long fill, overloaded, off balanced load and stuck key. Cleared error codes. Ran Ana auto test. Unit kept filling past the time it should. Removed console. Found pressure switch hose not connected to control board pressure transducer. Cleared pressure switch hose and connected to control. Calibrated and ran another auto test. All tested ok. Office to bill customer $143.90"
DRYER MAYTAG MGDB755DW3 "Dryer ,,,,,checked dryer operation ...dryer running but not heating ,took dryer apart and checked burner ,,,,,ignitor for gas valve is bad ,replaced ignitor and cleaned out vent ,all heating good now ; used 1 279311 (IGNITOR) from stock"